With zip on skirt for wind protection (see photo), As new. Worn about three times at most. Back protection, Shoulder protection and Elbow protection. 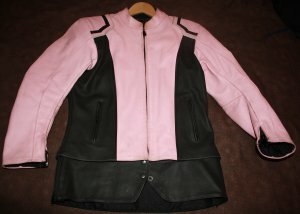 Harley Leather Jacket for sale. XL) Phone for more detail.